Here at Sail22 we are trying to make the most out of every event for our clients. We are in the midst of finalizing a Tuning Regatta for the Melges 24 Worlds. The dates will be October 9-11, 2009. The regatta venue will be at the Annapolis Sailing School, which willl be the site for the Worlds and the racing will be designed for optimal crew work practice. The sailing will be in the same area as the World Championships. You will be able to keep your boat rigged between the events. Stay tuned for the NOR and registration to be posted soon. 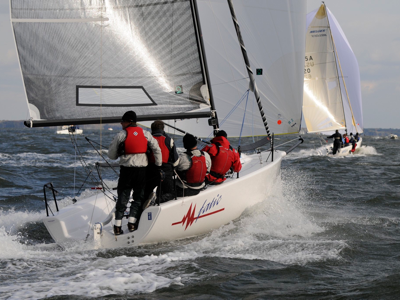 Count on top teams, top training and great information from the top Melges 24 sailors and local Annapolis professionals!